If you’re interested in the world of technology, then cloud computing will not be a foreign term to yourself. It is arguably one of the most rapid and advanced piece of technology that we have seen in the past century that has been adapted and utilized by almost every industry on the planet. However, not everyone is clued up on the highly diverse world of cloud computing. Especially small businesses that are looking to expand or entrepreneurs that are looking to get started with building their business empire. For this reason, Net Technical Solutions, who are a business technology support center in Surrey, have produced this infographic to help educate and inform anyone who wishes to explore the use of cloud computing for their business. This infographic walks you through the different types of cloud computing structures that you could use depending on the nature of your intended use. It also goes on to look at the exciting part of cloud computing technology, that is of course the future and what industry experts are predicting and forecasting for cloud computing. We are keen to know what your thoughts are on cloud computing and the future, so make sure you comment and join in on the conversation by commenting below. Cloud computing is a fairly new concept to many people, although it has been around for several years, that has attracted the attention of many small businesses, large corporations and productive individuals. There are a lot of advantages that come along with cloud computing, especially in companies where multiple employees need to access the same files from multiple computers or locations. Cloud computing abolishes the need for servers or physical hardware within your office space and essentially cuts down the expenses cost to your company or yourself. For this reason, a lot of individuals and companies are using cloud computer systems within their business. However, whilst using the service, you may find that you come across a number of problems. Some you can solve yourself and this article will outline those problems in which you can. However, some cloud computing problems require you to enlist the help of IT and Hardware Support specialists. One of the major problems that put some companies off migrating to a cloud computer system is the circulating issues of security flaws within the system. Due to the nature of a cloud system, where by you access your files and applications through an internet connection, it opens it up to several attacks from hackers that may want to corrupt or use your data. However, you should find that most cloud service providers offer optimum levels of security and risk management to ensure that all of your programmers and documents are kept safe and secure. You can also ensure that you choose sufficiently secure password for you and your staff to use as well as a protocol for employees to follow when using your service. A problem that some companies face when it comes to migrating their servers to the cloud is the issue of compatibility. For example, your computer software may not allow you to use certain cloud computing systems or allow you to use service fully. To ensure maximum compatibility, always keep your software up to date. The latest Windows software is; Windows 8 for Windows computers and OS X Mavericks for Apple computers (as of April 2014). If you chose to download files, pictures or watch videos through the cloud then you may be placing a heavy burden on your bandwidth speed and general performance. If a lot of your employees are downloading files or streaming videos through your cloud service, you can find that performance and the speed of downloads will suffer. Although, this can be resolved by implementing guidelines for what staff can or can not download or stream, or by upgrading your service to a larger and faster package. To sum up, cloud computing has been around for several years now, but it is only until recent years that companies are starting to realise and utilize its potential, however some companies are put off using a cloud service due to some of the potential threats that come alongside with it, these threats however are easily remedied by either yourself or by your cloud hosting service provider. Bradley Sheldrick is a blogger that has interests in many topical fields. This article looks at the typical problems that businesses may have when using cloud computing solutions which was sparked by his recent work for NT Sols. In the last 10-15,000 years of written history mankind has come a long way, changing from predator to mostly producer; in that time all areas of human civilisation have witnessed a huge growth in technology. Specifically, if we look back over the last 100 – 150 years, the advances made in the electronic, medical, silicon, mechanical and chemical sciences are hugely praiseworthy: from the discovery of electricity to the invention of the telephone, through to aeroplanes, computers, satellites and the internet; as a result average life expectancy, income, and gross production per capita have all significantly increased. However, despite all these advances, as humans we still need to resolve many puzzles around us; we don’t yet know what caused this universe to form, how the human nervous system works, how to permanently cure cancer or AIDS, eradicate poverty, religious wars or corruption or halt environmental change and what happens if the human population explodes beyond the means of this Earth? The best thing is that we, human kind, have not become complacent and are very much aware of the challenges faced by our civilisation and that there are many projects taking place around the world to resolve these issues. I have summarised below some of the science and technology projects that might address these challenges and improve our lifestyle. Particle physicists have the coolest job: smashing subatomic particles together at incredibly high speeds to untangle the secrets of the universe. 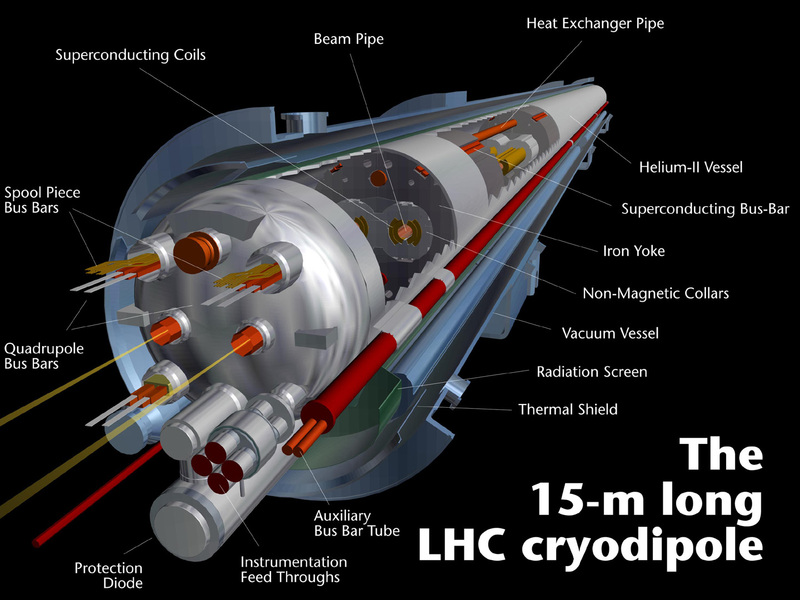 Scientists use the LHC to reconstruct the conditions immediately following the Big Bang. In July 2012 the LHC drew international attention when scientists conveyed their discovery of the Higgs boson, the particle thought to explicate how other particles get their weight. “Our goal is always to understand how the world is put together,” said Roger Dixon, head of the accelerator division at the Fermi National Accelerator Laboratory (Fermilab) in Batavia, Illinois. US President Barack Obama has revealed a new initiative to map the brain. The $100m investment will be used to cultivate new technologies to examine how the billions of individual cells in the human brain interrelate. Scientists will also focus on how the brain registers, stores and processes information and investigate how brain function is linked to behaviour. The project will use supercomputer-based models and simulations to rebuild a virtual human brain to develop new cures for neurological conditions. • How did the solar system form and where did the Earth’s water and other organic materials, such as carbon, originate? • NASA is researching galactic cosmic radiation that might potentially be the most threatening element to humans exploring deep space with the aim of cultivating easing strategies that may also lead to medical advances on Earth. • The International Space Station assists as a national laboratory for human health, biological and materials research, as a technology test-bed and as a stepping stone for going further into the solar system. • By understanding more about asteroids we may learn more about past Earth impacts and possibly find ways to decrease the threat of future effects. Genetically modified foods are foods formed from genetically modified organisms (GMOs), specifically, genetically modified crops. GMOs have had specific changes woven into their DNA by genetic engineering methods. With an ever-increasing global population, massive third world hunger and with an estimate that a child dies every two seconds worldwide from starvation, there is great potential in the use of genetically modified technology to the advantage not just of farmers but also for societies worldwide. 1. Big data can be used to monitor the progress of developments in the next generation of products and services. For instance, manufacturers are using data acquired from sensors implanted in products to create new after-sales service offerings such as proactive maintenance. 2. A big data can offer significant value by making information transparent and operational at much higher rate. 3. As businesses create and store more transactional data in digital form, they can collect more precise and detailed performance information on everything from product inventories to staff turnaround, and therefore exposes variability and increase productivity. 4. A big data permits ever-narrower segmentation of customers and therefore much more exactly customised offering. 5. Refined analytics can noticeably improve decision-making. Renewable energy is energy that comes from resources which are continually restocked such as sunlight, wind, rain, tides, waves and geothermal heat. About 16% of global final energy intake comes from renewable resources with 10% of all energy from traditional biomass, mainly used for heating, and 3.4% from hydroelectricity. New renewables (small hydro, modern biomass, wind, solar, geothermal, and biofuels) account for another 3% and are growing rapidly. The share of renewables in electricity generation is around 19%, with 16% coming from hydroelectricity and 3% from new renewables. 1. Cloud computing making information hosting, processing and rendering very accessible and cheap. 2. Wearable techs like Google Glass and Apple’s highly anticipated iWatch are embedding tech into the human body to enable more efficient collection and communication of information, thereby increasing productivity. 3. 3D printers/faxes that promise to manufacture custom made products on the fly. 4. Self-driving automobiles, like Google Car and Boing plane, reduce human error when we commute from one place to another. 5. DNA analysis helps to do genome analysis and can detect early signs of deadly diseases such as cancer. Overall, we are still in the very early stages of discovering why we (i.e. human) exist, how we evolved, how our bodies work and subsequently facing issues like dementia, poverty, unemployment, religious wars, resource scarcity and those causing more agony and pain. But if we join all the points together, from the LDC project to renewable energy to brain mapping to cloud computing, we are progressing in the right direction by exploring the possibilities of what causes our existence; in doing so we are creating employment and using the latest technology to communicate new findings at a very high speed.